In this special edition of Inside A-State, we are beginning September with a warm welcome to new members of the A-State faculty for the 2016-17 academic year. As of today, more than 50 new educators have begun their duties around campus. 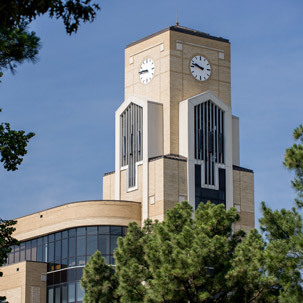 Three new faculty who hold the rank of associate professor and their respective academic disciplines are: Donghoon Kim, computer science; Rene Moquin, computer and information technology; and David Newman, animal science. Welcome to 21 new assistant professors at A-State. They are: Katherine Baker, art history; Jessica Camp, nursing; Heloise Campos, psychology; Elizabeth Chamberlain, first-year writing and writing studies; Bradley Dickerson, political science; Hyunju Jeong, civil engineering; Doo Young Kim, mathematics; Mollie Manning, nursing; Jocelyn Martin, social work; Carolyn Mathis, nursing; Amanda Mohler, occupational therapy; Viktoriya Pleshkan, nursing; Tarek Ragab, civil engineering; Hilary Schloemer, management; Alicia Shaw, education; Dinah Tetteh, communication studies; Elizabeth Todak, disaster preparedness and emergency management; Zachary Warzecka, English; Marc Wiliams, theatre; Robert Williams, education; and Tan Zhang, physical education. The new instructors joining the faculty this semester and their respective campus areas are: Dawn Archibold, online; Amy Beard, online; Brittney Johnson, physical education; Mark Jordan, agribusiness; Robert McCarroll, art; Tabetha Osborn, chemistry; Morgan Patkos, English as a second language; Galen Perkins, sports media; and Mary (Kate) Titsworth, exercise science. Dr. Veena Kulkarni, associate professor of sociology, is now interim chair for the Criminology, Sociology and Geography Department. Polly Middleton, instructor in music, is the new director of athletic bands in the Music Department. Sara Walker is director of the new emergency medical services program in the Disaster Preparedness and Emergency Management Department. As reported in an earlier edition, Dr. Don Bowyer, professor of music, is interim director of Fowler Center, and Tim Bohn, associate professor of theatre, is interim chair of the Theatre Department. We also welcome to the faculty several individuals with temporary appointments. Rhonda Holcomb is assistant professor and program coordinator in health sciences. Instructors are Scott Anderson, communication; Bethania Baray, music; Johnna Boggs, nursing; Tatsiana Chaiko, Spanish; Danetta Ennis, exercise science; Juanita Evans, first-year studies; Addie Fleming, nursing; Michael Gray, communication; John Jackson, economics; Meredith Melville, theatre; Carrie Leigh Page, music; Trevor Paulsen, exercise science; Chi Young Song, violin/viola, and coordinator of strings; Christopher Thigpen, biological sciences; Kayla Travis, nursing; Dartell Treadwell, physical therapy; Joey Vaughn, mathematics; and Michael Zelin, physics.